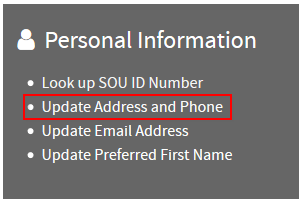 This article will show you how to update your personal address and phone number in SISWEB so that the university has your most current contact information. 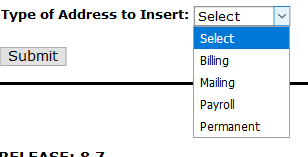 Step 2 - Scroll down the page and find the gray box labeled Personal Information. Click on the Update Address and Phone link (or click this link to go there directly). 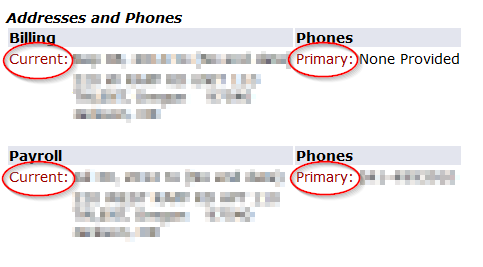 Step 4 - Update your address and/or phone information on the next screen that comes up and then click Submit to finalize it. If you have trouble with any of these steps, call the IT Helpdesk at 541-552-6900.